Want to know what things to do for winter in your household??? Hello All, Hope all is well. It is really cold here in Austin. Hope the weather gets better next week. I personally dont like winter since we cannot go out much and by the time we get home it is dark.Kids are also bored during weekends. Please pass on some ideas to keep kids engaged at home and also outdoor activities to take kids out. I follow some things like puzzles, coloring , reading books. I feel they watch more TV now than summer :). 1) Make sure you turn off the sprinkler system.We usually dont water the lawn during winter as it is not needed. 2) We usually keep the temperature low on the thermostat and we buy personal heaters,we have this one Personal room heater so that you dont have to heat the whole house. 3) When turning on heaters make sure you have humidifiers also on so the room will not be that dry and it is easier for kids to breathe. We have this humidifier Humidifier there is a sale on this check it out. 6)Change the direction of fan blades if you use it so that it will bring the hot air down. 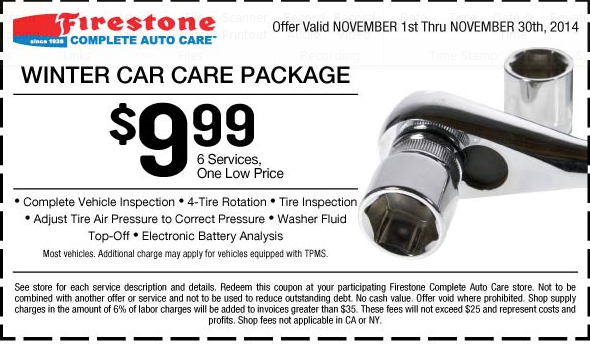 7)Also there is a winter car care package from Firestone for $9.99. Click here to make an appointment Firestone online appointment. Make sure you do this check to have the car safe to be on the roads during winter. Missing someone or something or being missed !!!!! have you experienced this ? ?